It’s Monday once again, I know I know!! it comes around too quick lol! I have started to notice the garden is now becoming emptier and emptier and making this challenge a lot more difficult. This will be down to the seasons changing and to be fair I thought it would of happened a lot sooner than this. 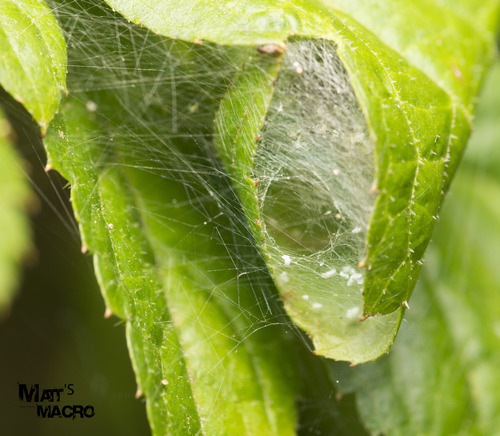 Whilst investigating the garden today I noticed this little nest or web carefully constructed in between a curled up leaf, it had a little entrance at the front. I have no idea what has made it but I will be checking it daily to see if I can spot anything. Today for #Day64 I have, I think, A Fuit Fly, Drosophila melanogaster.Drosophila melanogaster is a species of Fly (the taxonomic order Diptera) in the family Drosophilidae. 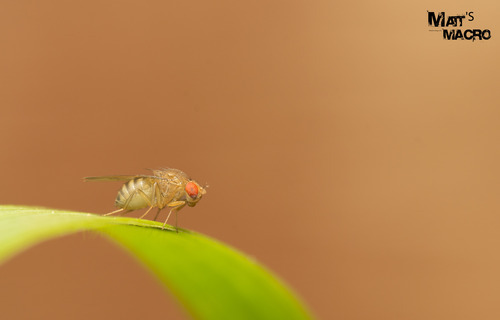 The species is known generally as the common fruit fly or vinegar fly.